At just over 250 years old, the Vassall-Craigie-Longfellow House at Longfellow National Historic Site tells many stories. Its most famous long-term resident is the 19th-century poet and scholar Henry Wadsworth Longfellow. In this home he penned such iconic works as “The Village Blacksmith,” “Evangeline,” “The Song of Hiawatha,” and “Paul Revere’s Ride.” Longfellow’s story, however, is only one of the many within the walls of this 18th-century, mid-Georgian mansion. During Longfellow’s residency from 1837 to 1882 his home became a welcoming and cosmopolitan gathering place for people from near and far, hosting luminaries Nathaniel Hawthorne, Senator Charles Sumner, Ralph Waldo Emerson, Harriet Beecher Stowe, Charles Dickens, Jenny Lind, Henry James, Emperor of Brazil Dom Pedro II, Julia Ward Howe, Oscar Wilde, and many others. Yet, before Henry W. Longfellow was born, this was the home and headquarters of General George Washington. He lived here from July 1775 to April 1776, during the first year of the American Revolution. Martha Washington resided here with her husband during the winter months. The threads of history woven through this place are extraordinary. From pre-Revolutionary War times through the mid-20th century, the house has been witness to innumerable gatherings of politicians, poets, artists, writers, and many others from the United States and around the world. Over the years, the famous and infamous, families and friends, enslaved people and servants, called this house their home. 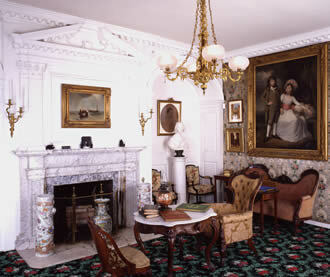 The house became a center for diplomacy and strategy during the Siege of Boston while the General and Mrs. Washington received visitors and officers including John Adams, Benjamin Franklin, Benedict Arnold, Henry Knox, Nathanael Greene, John Trumbull, John Hancock, and Artemas Ward. Here, the future first president met with several Native American chiefs and struggled with the role of black soldiers in the military and how they would serve in the emerging revolution. Attended by William “Billy” Lee and other enslaved people while here, Washington also invited former slave and author Phillis Wheatley to visit after she sent an original poem to him. You too can become part of this home’s catalog of visitors. 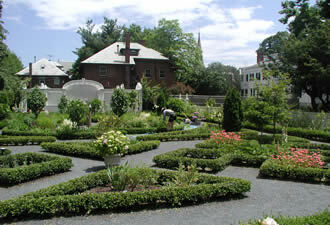 Just a short walk from Harvard Square in Cambridge, the park offers something for everyone. The stunning formal colonial revival flower garden and grounds are open year-round from dawn to dusk. There is a small admission fee of $3 for people 16 and older -- kids visit for free! Take a tour of this 1759 colonial mansion with its fully furnished rooms, including the room where Longfellow wrote his famous poems and Washington met with his officers. On display throughout the house are thousands of original items owned by the poet and his family, including paintings, sculptures, ceramics, art objects, furniture, and historic books. Every Sunday throughout the summer, the National Park Service continues the spirit of hospitality by hosting a free series of family events, craft activities, old-fashioned games, musical performances, and poetry readings. Activities for young people include the Junior Ranger Program, Architectural Discovery Quest, and Painting & Poetry in the Garden. 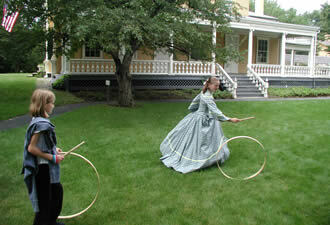 Year-round lectures and dramatic presentations are offered in the historic 1844 carriage house. Come visit one of the great historic homes in America!